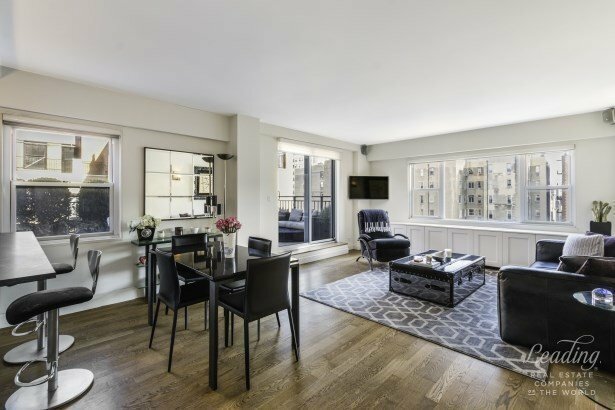 Move right into this peaceful retreat with tons of light and a private planted terrace located in the heart of the Upper East Side. This high floor home was recently gut-renovated and offers many modern conveniences normally found only in new construction. The gracious floor plan boasts a large bedroom facing east, an open kitchen with tons of counter space and a corner living room with a wall of windows and a sliding door opening directly onto the terrace (which is both sun-flooded and quiet!) Features include beautiful hardwood floors, a spacious entry foyer, an abundance of custom closets and a tastefully renovated bathroom with Carrara marble, a deep soaking tub and sliding doors (so it can thoughtfully double as a powder room for guests). Other details include a sonos sound system (with four zones including the terrace), a built-in wine refrigerator, high-end appliances and a washer/dryer. The landscaped terrace also has an automated irrigation system and an outdoor fireplace. Located in an intimate, full-service building only one block from Central Park, this trophy residence truly has it all.